There has never been a more opportunistic time to use video ad campaigns for targeting your audience to grow your business. Whilst advertising inventory on Facebook is filling up fast with static based ads, only a fraction of business owners and marketers are using the more engaging video format. Writing copy for text based ads may be simpler and quicker to put together, but video’s ability to capture your target audience’s attention is far more effective in converting sales. There are essentially ten strategic stages to take your ‘cold audience’ on a journey to becoming ‘hot’ customers’. The first 3 to 5 seconds are by far the most crucial part of your video. If your audience don’t click to watch the start, then it doesn’t matter how awesome the rest of your video is because they simply won’t be watching it. You need to use the strength of video. It’s visual and it has the capacity for motion. Use both to capture attention. After all, we are hard-wired to instantly notice motion. It’s how our ancestors survived, by being alert to sudden movement in the bushes from a potential threats. So use this instinct to grab your audience’s attention right from the very start. Call out to your target audience. Let them know this video is specifically for them. You don’t want everyone to click on your video, only your target audience or you’re going to waste lots of money. So ask them a question using text. For example I might call out ‘Restaurant owners are you struggling bring in diners during the week nights?’ Be laser specific so you know your target audience is watching your video. How does it feel like to have this specific problem? Does it bring frustration, angry, helplessness, despair? Drill right down to how your target audience feel about their problem. We make decisions based on our emotions, and then we try to rationalize them to ourselves later. So in order to have your audience take action, you must make them feel something first. You don’t want your viewers to feel the pain for too long or they’ll stop watching your video. So move them with a pleasurable emotion. What does it feel like NOT to have the problem. Imagine the freedom, the status, the control, the confidence they will experience. You have taken them on a journey, from pain to pleasure by resolving their problem. Marketing is all about positioning you, your brand and your product. While your audience are in a positive state of mind, share your Story. You were once where your audience are now. How did you overcame the problem? You have walked in their shoes. You have a proven solution which builds trust and authority. It’s not about you. It’s about your product, your service, your system. This should be a ‘Soft Sell’ where you introduce your product without a sales pitch. Your audience may think your solution worked for you, but will question whether it work for them? So use real Testimonials or Case Studies from people just like your audience. You don’t need unbelievable results – just real ones. There will still be some viewers that will have doubts about your solution for themselves. They may think that they don’t have the time, the skills or the experience to make it work. Rather than ignoring their concerns, face them by letting them know what those doubts are about and overcome them using both logic and emotion. One of the most effective ways of doing that is by offering a Money Back Guarantee. You take the risk – not your buyers. You may get a few dubious buyers taking advantage of your guarantee, but the extra sales you gain will more than compensate for that. Now is the time to tell them about your offer. Focus on the benefits – not the features. Tell them what do next. Leave out the hype and just keep it simple, clear and authentic. There will be viewers that decide to buy your offer – later. 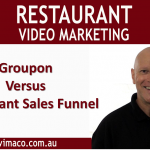 Unfortunately once your video has ended, your prospects will be inundated with hundreds of more marketing messages from your competitors and they will simply forget about your offer. Of course you can retarget them later, but that will cost you more money. It’s far more efficient to complete the sale then and there. You can use scarcity to help you. Is your product or service only available for a limited time or a limited number. Reward those that take action now, with bonus gifts, early bird discounts, free delivery. Whether your video is thirty seconds or thirty minutes long, your customer’s journey needs to travel through the ten stages. You are their trusted guide and not that sleazy sales person. By helping them to resolve their problem, you can engage in a transaction that is a win-win for both you and your customers.